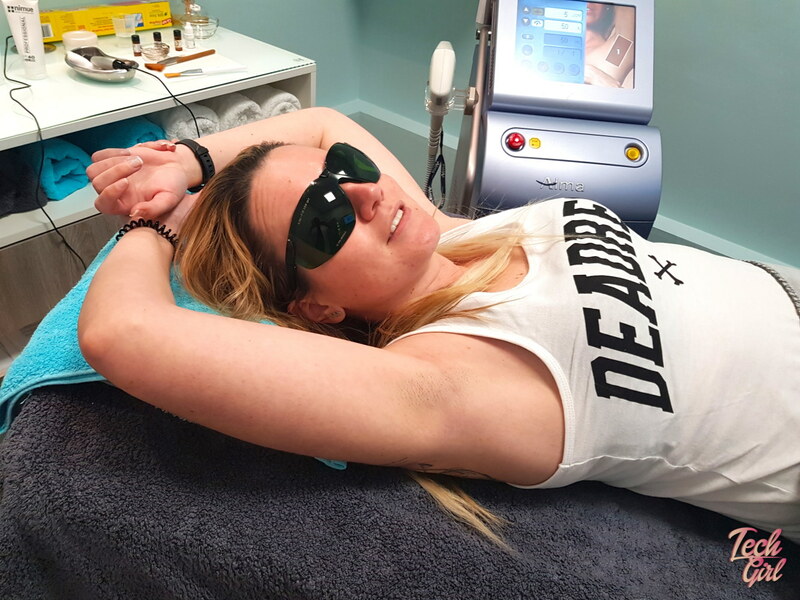 The Laser Beautique is pretty famous for its pain free laser hair removal. I mean it is the name so it goes without saying. I’m about to overshare here: I have dark hair so once a month I go for a full bikini wax. I also get my eyebrows waxed. It is a slog but it has to be done. I started asking some questions around laser hair removal and how it works. The tech is pretty standard. There’s an 810-nm diode laser and it is applied using a trademarked technique called IN-Motion. Laser Beautique advertises their laser hair removal as pain free and this is the reason. 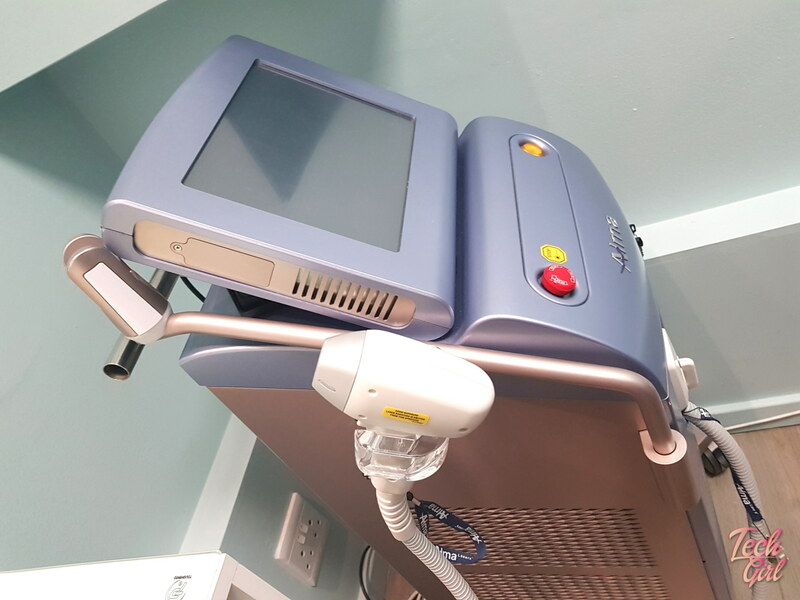 The Soprano laser delivers energy via low fluence and pulses rapidly. This raises the temperature of the hair follicle to the point whereby the cells become damaged – which means they cannot generate new hair. No actually. After we chatted about the procedure the team did a quick treatment on my under arm so I could feel it. It doesn’t hurt. It is kind of uncomfortable though, more a hot sensation with these weird prickles. Under arms you can barely feel it but in more sensitive areas (like your bikini area) you’ll feel it. But it isn’t really all that bad at all. 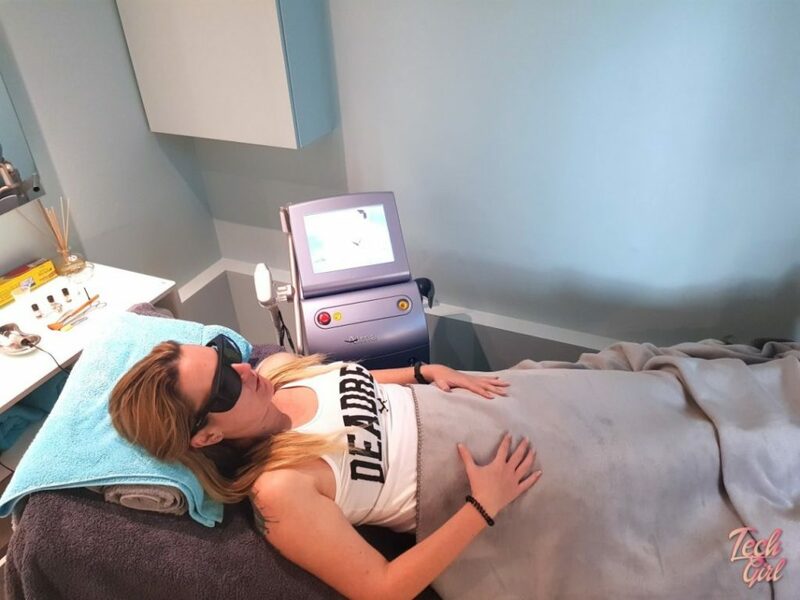 This entry was posted in Blog, Laser and tagged laser hair removal.